NORFOLK, Va. – Nov. 21, 2013 – More than 100 delegates from 11 countries attended the second annual SHIPPINGInsight Fleet Optimization Conference, which was held Oct. 22-24, 2013 in Stamford, Conn. The organizers are already starting to make plans for next year’s conference, which is tentatively scheduled for mid-October 2014 in Stamford. Participants and delegates represented all segments of the international maritime industry. They included 20 senior executives from major shipping companies, many of whom served as moderators and panelists, as well as major classification societies, industry experts and solution suppliers. The agenda covered a full range of issues related to improving profitability in ship operations, including regulatory issues, ship design and construction, fuel and propulsion management, system performance monitoring, maintenance and onboard management, ship routing, hull treatment and power management. A dedicated LNG workshop featured eight industry experts who discussed all aspects of LNG as a marine fuel, including ship design and construction, transportation and storage, bunkering, propulsion systems, special handling requirements and crew training. 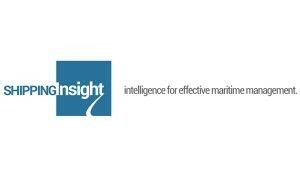 Soccoli Associates LLC, a maritime consultancy, and Rhodes Communications, Inc., an international communications firm specializing in the maritime industry, are co-producers for the SHIPPINGInsight conferences. Maritime Reporter and Maritime Professional magazines are the exclusive media sponsors.